Premium quality Triflex Series GF-200AB and GFN-200 Microfiberglass Filter Cartridges deliver high-purity using proprietary technology. 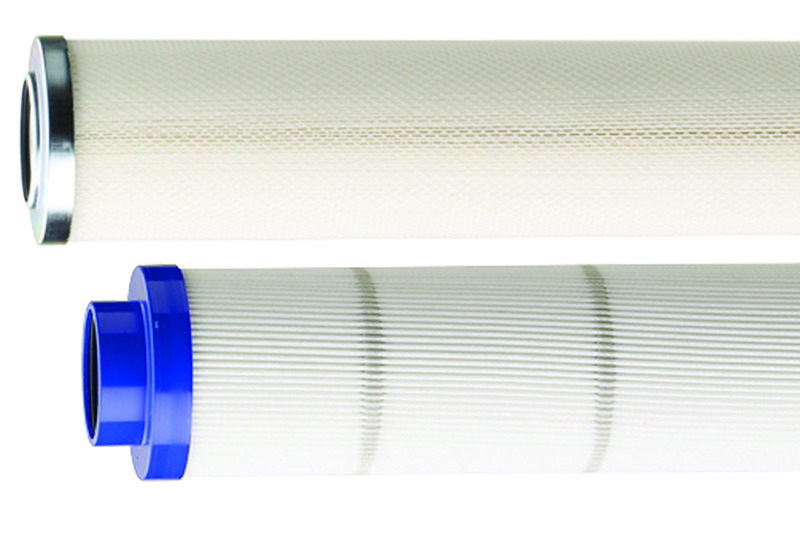 Premium quality Triflex series GF-200AB and GFN-200 microfiberglass filter cartridges. 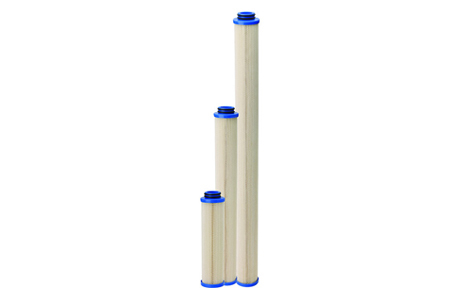 Premium quality Triflex Series GF-200AB and GFN-200 Microfiberglass Filter Cartridges deliver high-purity nominal or absolute filtration using proprietary technology. These cartridges are ideal for a wide variety of applications that require high-performance filtration with low pressure drops. Triflex Mega Series GF-600AB Cartridges are large 6- and 6.5-inch diameter coreless pleated cartridges that offer inside-to-outside flow patterns. These uniquely constructed cartridges offer greater flow rates per element, fewer elements to change-out, and smaller housings. The proprietary microfiber glass media offers absolute (Beta 5000) levels of consistent filtration. Triflex Series GF-200AB Cartridges feature optimized construction for true depth loading. This allows for superior dirt-holding capacity, high flow rates and long cartridge life. These cartridges are ideal for a wide variety of applications that require high-performance filtration with low pressure drops. Triflex Mega Series GF-600AB Cartridges are a unique line of larger diameter, absolute-rated cartridges that are designed to maximize flow, service life and efficiency. These cartridges require significantly smaller housings and fewer elements.